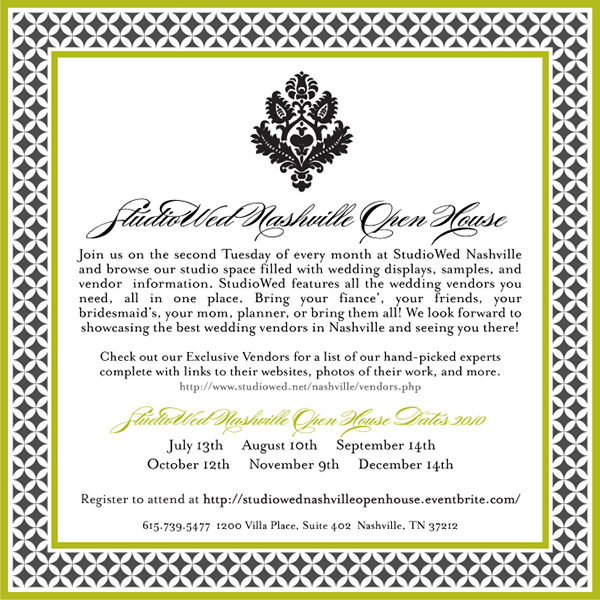 On the second Tuesday of every month, StudioWed will be hosting an open house for brides. This is a great way to come in and see what StudioWed is all about, without any pressure, so mark your calendars for the upcoming months! Also, make sure to click on the invite below to register to attend. We hope to see you there! 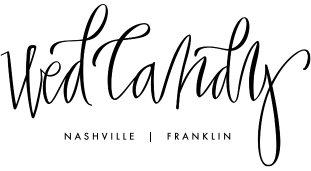 We are also excited to announce the incredible new StudioWed Nashville blog has launched…you finally have a place online to check out all the awesome vendors that StudioWed has to offer!